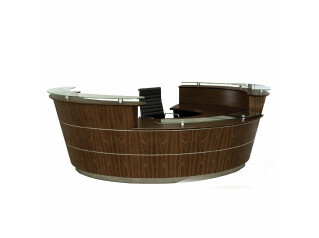 Valde Reception Desk boasts a high gloss facial surface, illuminated by LED lighting, with a selection of HPL and complementary wood-colour fronts. 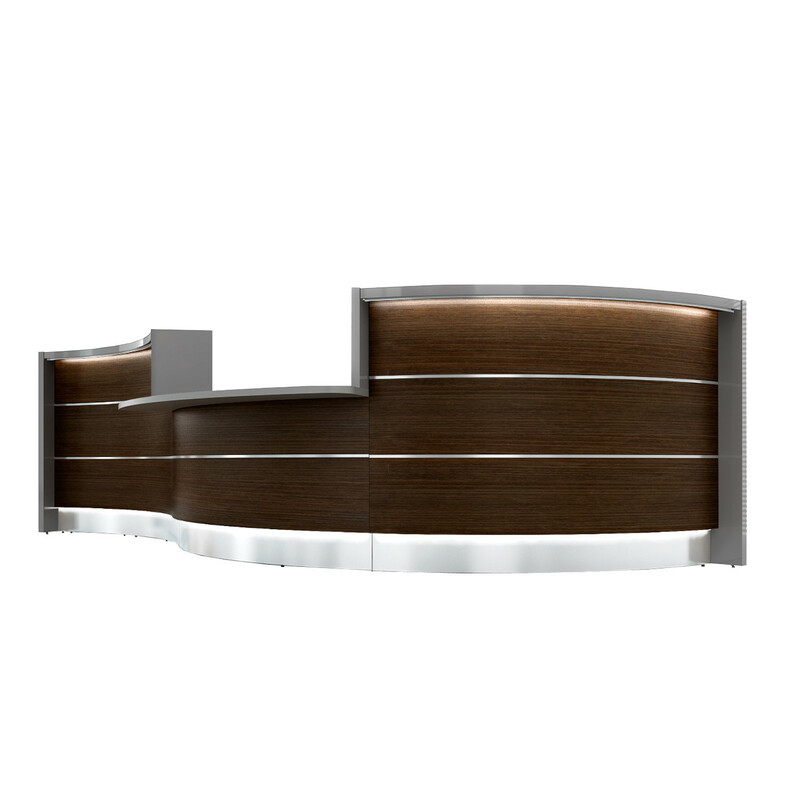 Valde stands out for its creative design and cogent elegance emphasized by the precision of details, whilst providing its function as an excellent invitational reception counter. 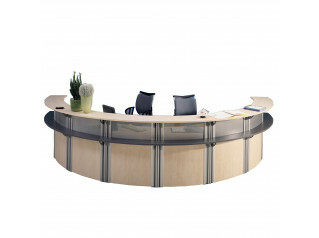 Straight, convex and concave elements are at your disposal in any of the numerous wavy, circular and upright arrangements that Valde Desk is available in, creating the feeling of style and integrity for any reception area. 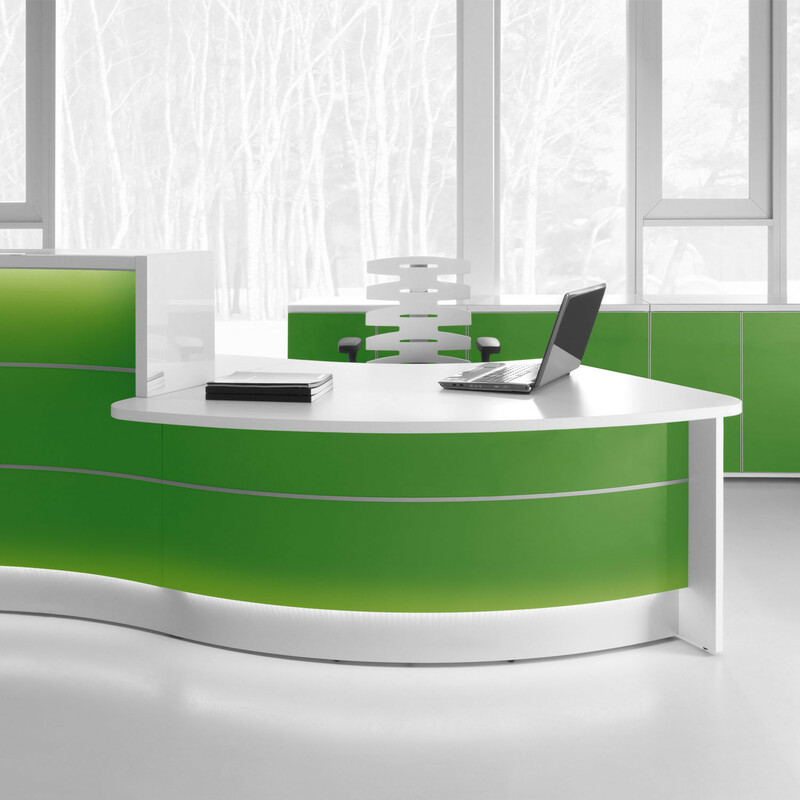 Horizontal slats made of aluminum emphasize the shape and modern character of the body. 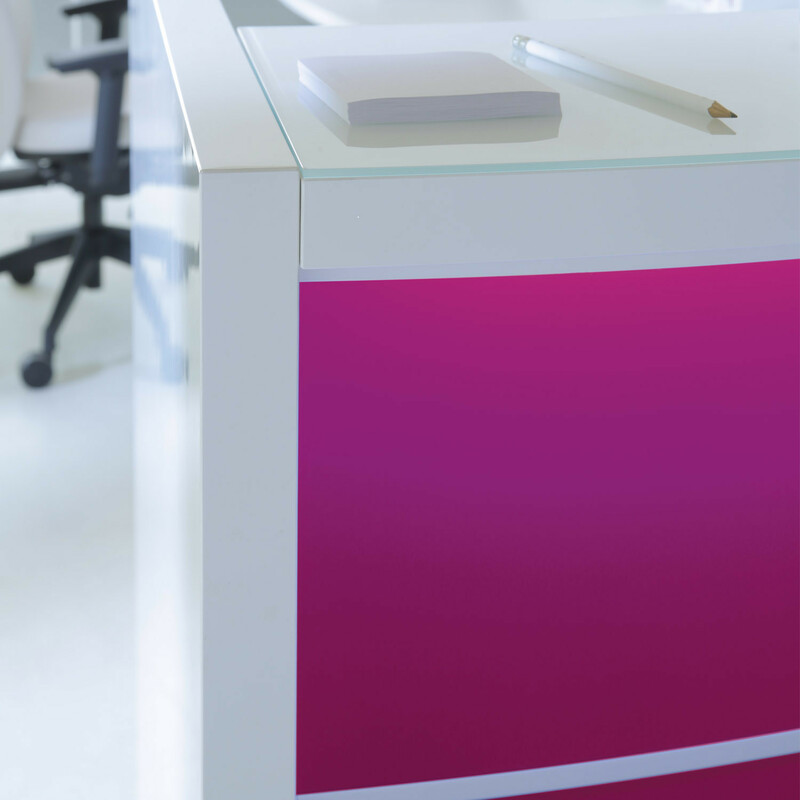 The desk top, made of tempered white glass, perfectly matches the glittering frontal part of the counter. 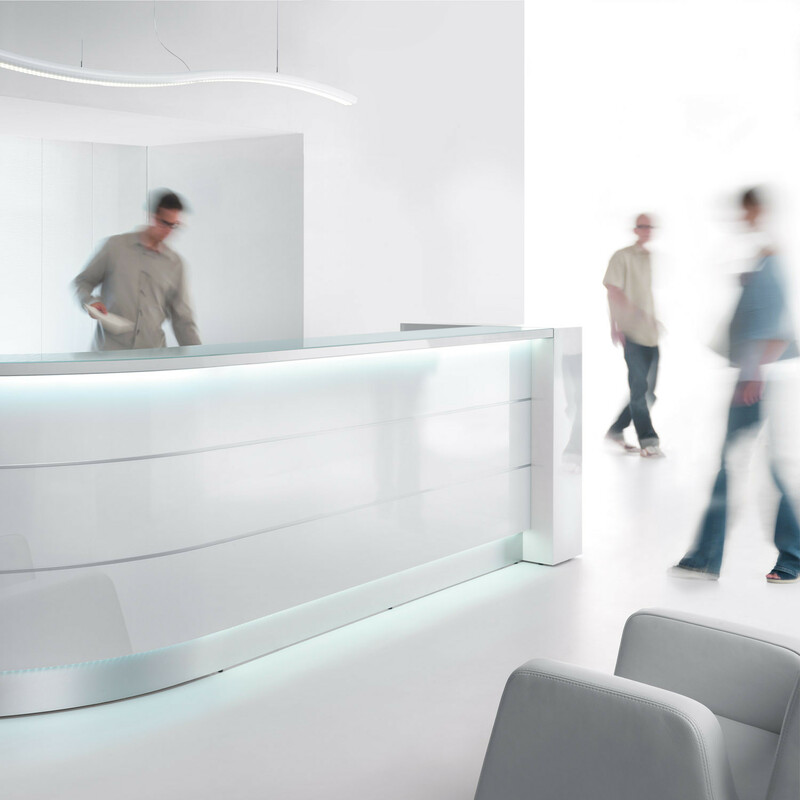 LED lighting located under the upper desk top, and at the basis of the counter, provides an especially stylish and contemporary look from Valde reception desks - particularly impressive in darker areas. 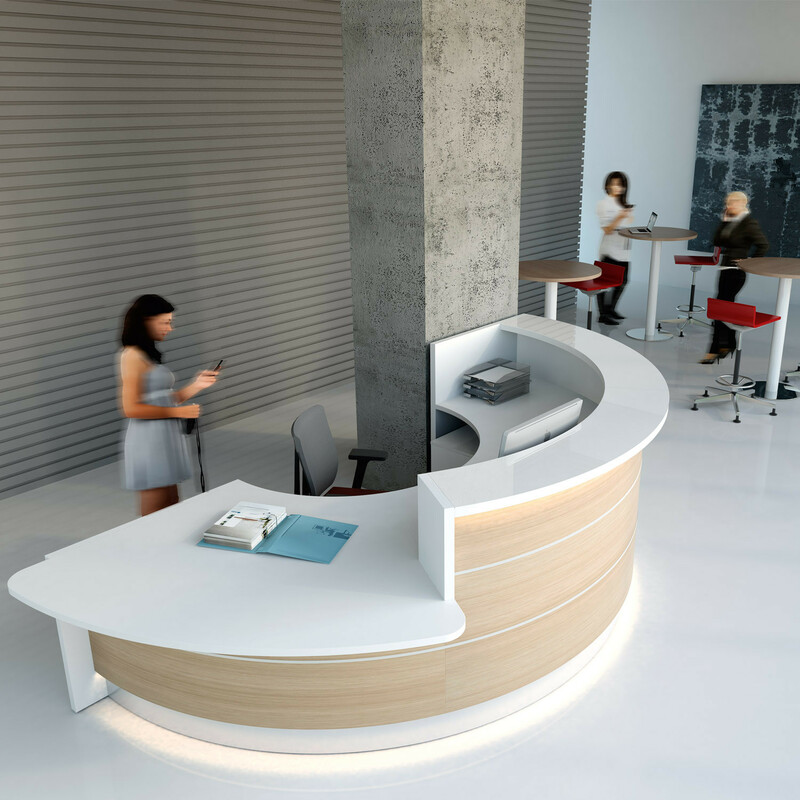 With integrated shelving, filing, and lockable storage, this corporate reception desk provides functional space with a beautiful modern aesthetic. 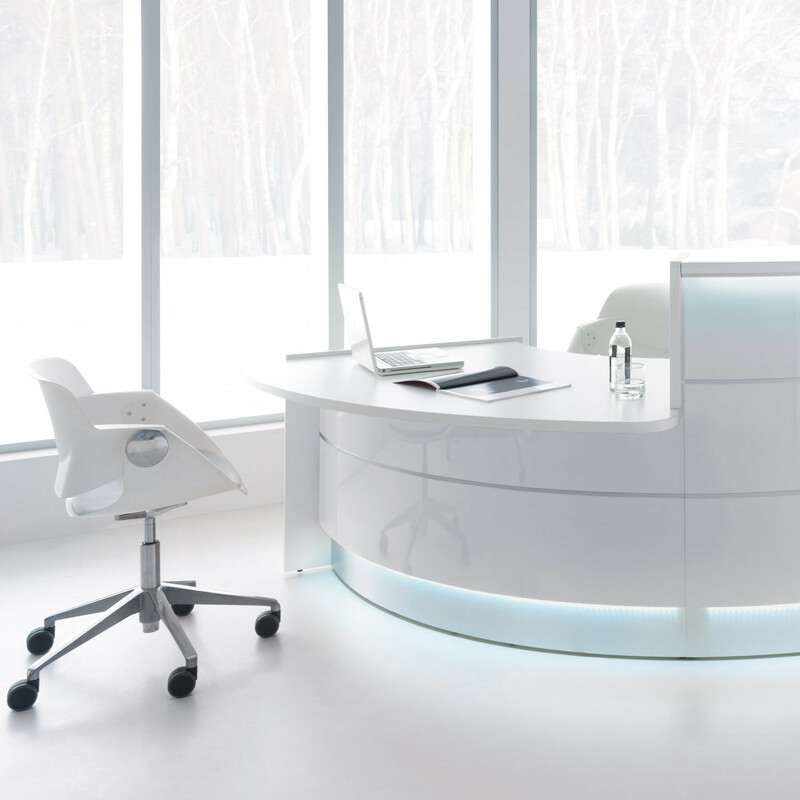 View more products from MDD. 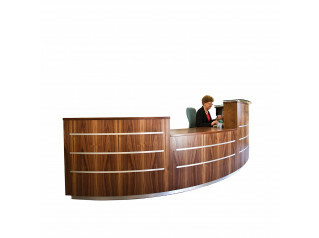 You are requesting a price for the "Valde Reception Desk"
To create a new project and add "Valde Reception Desk" to it please click the button below. 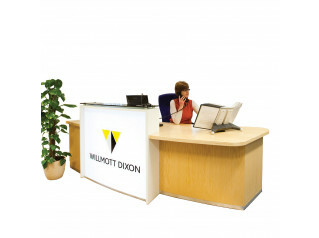 To add "Valde Reception Desk" to an existing project please select below.